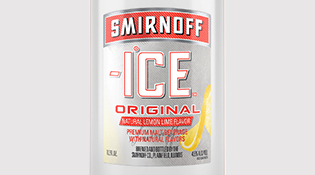 Smirnoff Ice™ Triple Black is an edgy twist on the familiar crisp taste of Smirnoff Ice. Popular at local hot spots and bars, the clean, juicy flavor of Triple Black hypes up the crowd. If you want to kick it up a notch, try Smirnoff Ice Triple Black. This sweet carbonated beverage has a clean, crisp, refreshing taste that won't weigh you down.